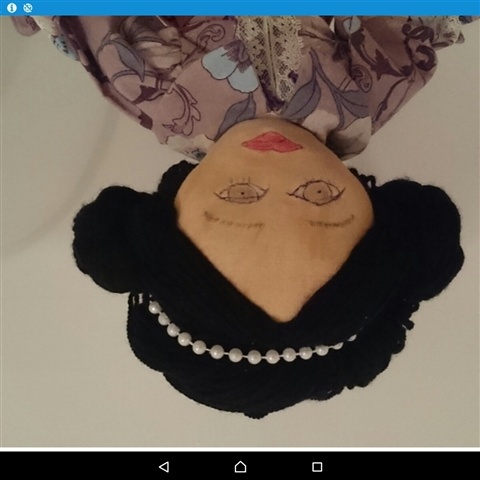 Antoinette is a standing doll 20-22inches. 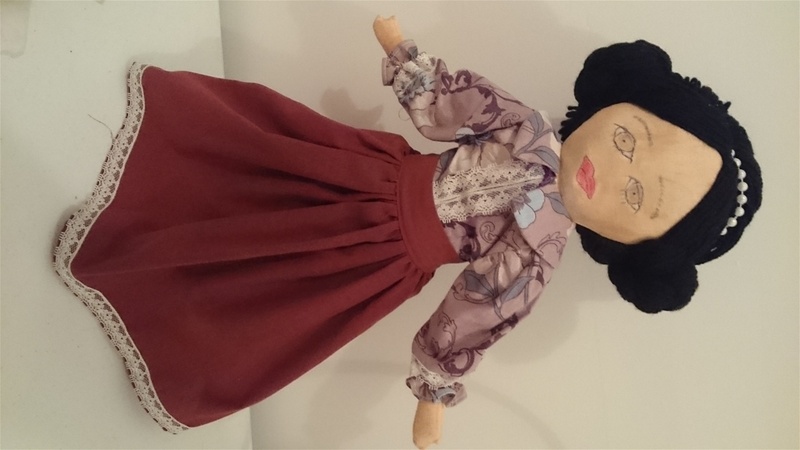 Handmade by me from a pattern by Claire Bryant Making Your Own Old Fashioned Cloth Doll. 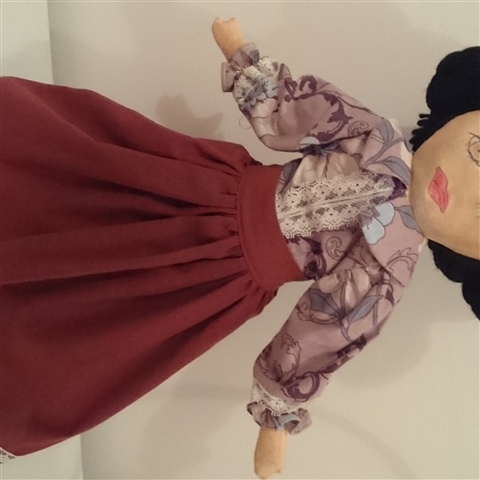 Antoinette is made from Muslin body, all clothes cotton and removable. Camisole, bloomers and petticoat have lace trims. 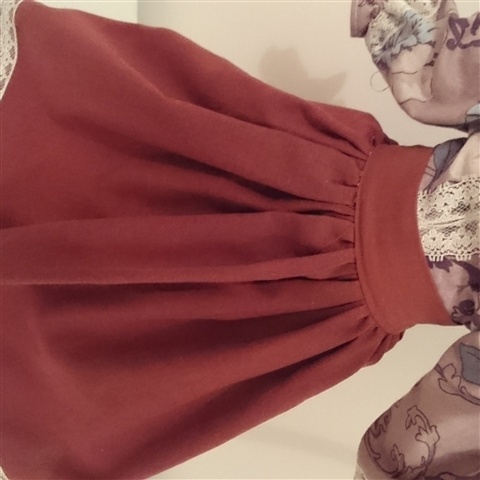 Skirt had lace trim and Velcro closure. 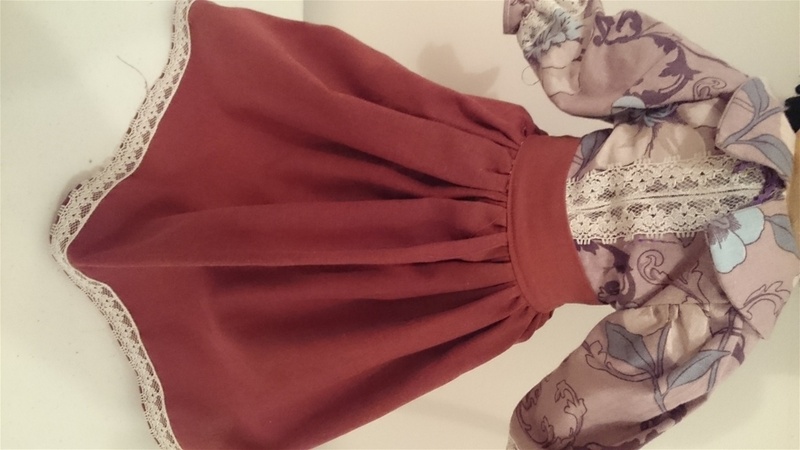 Blouse has elastic at wrists and lace trims. Closure back by Velcro. 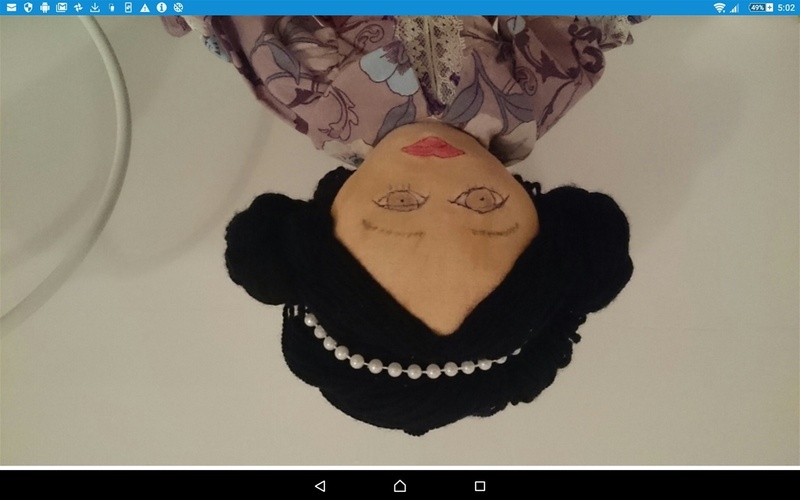 Hair is braided at sides and rolled, top of hair is rolled, held in place by hair clips Pearl beads on top. Hair style can be changed.